As a writer it is especially important to me that my children write well, but I want it to be so much more than that. There are only a few subjects that I believe children should be focusing on 5 days a week and English (Language Arts) is one of them. While not every child will need to know chemistry or ancient history, all children need to learn how to speak, read, write and spell well because everyone uses these skills each day of their lives. Thankfully my mother took the time to learn English (the subject not the language) along with me throughout my homeschooling journey. She did not understand it herself, so she became a student again. She knew that she didn’t want me (or my brothers) to struggle with English the way she did, so she was dedicated to ensuring that we learned how to read, write, spell and speak exceptionally well. It was her drive to teach my brothers and I that encouraged me to become a homeschool mom that was devoted to giving my children the best education possible. Some days and some subjects are easier than others, but no matter what homeschooling my children is worth it all. Surprisingly, I, the writer, have one child that loves to write while my other child is a reluctant writer. I’m not sure how that happened, but writing assignments can produce both joy and tears in our homeschool depending on which student is receiving the assignment. One thing that I have learned in my 7+ years of homeschooling is that how you approach writing with your students makes a great difference in both their response and the outcome of the assignment. My daughter loves receiving writing assignments while my son would probably prefer to take out the trash. While they are both on opposite ends of the spectrum, I am still diligent in cultivating a love for writing in each of them. The best part? I’m doing the EXACT same thing for both my reluctant writer AND my little writer. If I were to ask my son to write about our day in town, he would likely be frustrated with the topic and very unwilling, while his sister would love to write about all the places we went, the food we ate and things we saw along the way. My daughter would not enjoy writing a paper covering a football team’s most recent game, but my son did WILLINGLY! 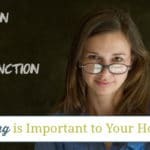 Teaching and encouraging my children to love writing requires me taking the time to consider what things they like and enjoy outside of homeschooling and determine how I can make those things a part of their homeschool journey. My son loves to joke. He enjoys making people laugh and I need to do more of it, so I’m striving to learn to truly enjoy his sense of humor. We don’t get the paper very often, but when we do he always reaches for the comic section first. 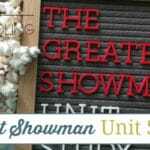 Recently I was able to take that love for comedy and make it part of our homeschooling! 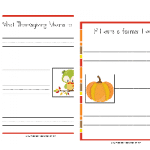 I’ve shared before how much we love Dover Publications and their resources continue to be a tremendous blessing to my children’s education and have also provided joy, laughter and fun learning for my children and I. 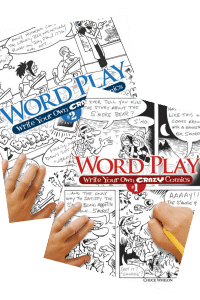 My son’s love for comedy and laughter drew me to the “Word Play: Write Your Own Crazy Comics” books from Dover Publications. The fact that the comic strips were already drawn inside the book was a big selling point for us because my son does not enjoy art, so these books allowed him to write a funny story line for each of the scenarios already drawn inside. Each of these books contain 62 pre-drawn comic strips scenes for students to write a story about! If they want to be more creative, the comic strips are in black and white, so your students could color them! When my son first opened these books he chose to create a story line for the baseball and big foot comics. A few of the other comic strips included are; pirates, frog princess, dragon, corn maze, stilts, caveman and family dinner. My daughter loves to journal and creating art. In almost every corner of my house you’re sure to find a journal, a drawing or a story written by her…possibly even all three. It has not been extremely difficult to encourage her to love writing, but I don’t want to just hand her assignments included in her textbook just because I know she will complete them with no problem. I want her to love writing and that only happens when she has the opportunity to write about things she loves and enjoys. My daughter’s love for journaling and art made selecting fun writing resources from Dover Publications easy for me. They have several art journaling resources to choose from and my daughter loves them all! 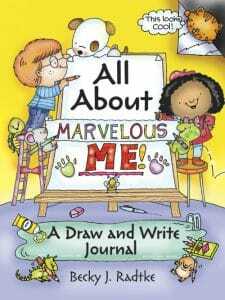 All About Marvelous Me is a draw and write journal that gives your student the opportunity to write about themselves in fun and engaging ways. There are 62 pages inside where your children will write about things they love and enjoy! Throughout the book there are places that encourage them to draw a picture as part of their activity. My daughter loved writing about her pet bunnies, friends, dreams, wishes and music when she first opened this book. A few of the other writing and drawing activities you’ll find inside are; great memories, things that scare them, super powers and much more! 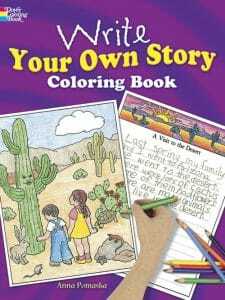 The Write Your Own Story Coloring Book is a great resource to encourage your story telling students to write with writing prompts! There are a total of 22 story titles and coordinating coloring pages to inspire your children to write! All of the titles inside can be used as stand alone stories or your students can choose to use them as chapters and create their own book! My daughter enjoyed having the coloring pages included in this resource, it allowed her to color the picture as she saw it in her mind while writing her own story line. 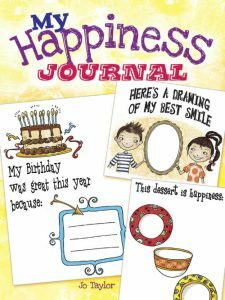 My Happiness Journal is a very creative way to encourage your students to share and think about what brings them joy and makes them happy. Inside you’ll find 50+ pages of delightful journaling activities including; a happiness bag, coupons, sports, movies, hair styles and much more! My daughter liked writing about a dessert, books, clothes, sneakers and hairstyles that bring her happiness in this fun journal! 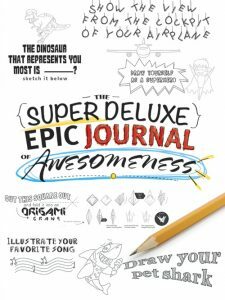 The Super Deluxe Epic Journal of Awesomeness is full of fun artistic journaling activities for your students to enjoy! There are 62 pages that give your art loving students a drawing prompt which include; illustrating your favorite song, draw your favorite toppings on a pizza, make a doodle with your eyes closed and more! My daughter said that is a fun journal for artistic students to express themselves in creative ways! As a Year Round Homeschooling reader you can save 25% on your order through Dover Publications by using this code –> WHBS (This discount is valid through 1/31/17) My mom used their homeschool resources for my brothers and I and now I am using them for my children. 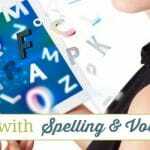 Not only do they have these fun creative writing books, but they also have quality literature, coloring books and much more that you can use for your homeschool! I truly enjoy finding ways to allow my children the opportunity to lead their education without even realizing it; by choosing to use resources that cultivate their natural abilities and strengthen their weaknesses by using their interests to inspire them! This simple method brings much added joy and happiness to our homeschooling journey! The best way to cultivate a love for writing in all of your students is to provide them with writing resources and assignments that interest THEM. 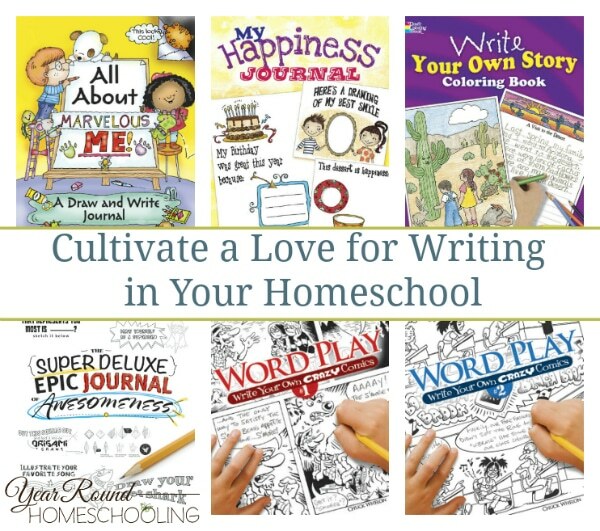 How do you cultivate a love for writing in your homeschool? How fun! These look like great (and fun!) writing books. I’m going to have to have my boys check them out. They are all rather reluctant writers and writing time often ends in at least one of them in tears (if not all 3!). Oooo girl, I think you might be onto something here! I too have a few “reluctant writers” which that comic book idea might help with. Thanks for sharing this great idea! What an excellent compilation of resources to encourage writing! Writing was not always my favorite in school, but these books look like a fun way to motivate students!